This is my own take on a street food dish I was partial to when I lived in Vietnam - what feels like a million years ago now. Make up a batch of these meatballs. They're easy and light to eat, and while the weather is hot you'll be patting yourself on the back for having done the cooking in advance. 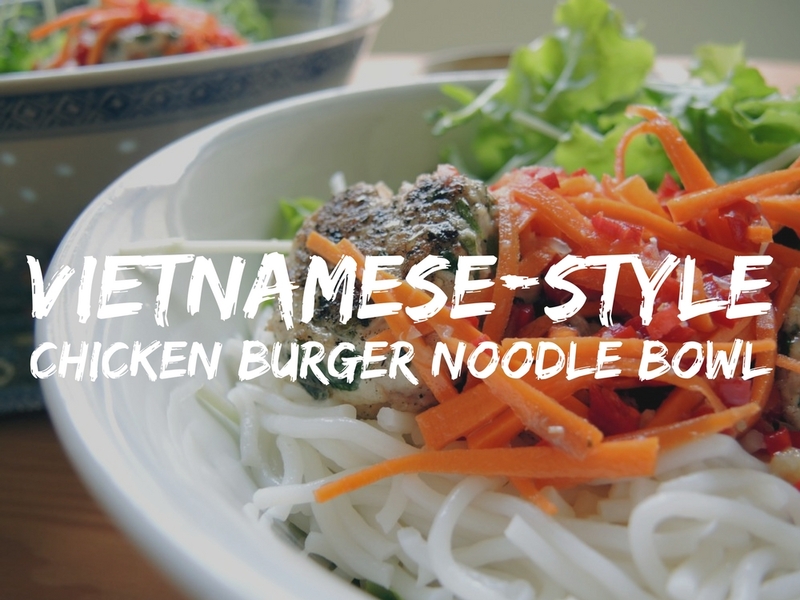 I don't bother much with cooking Vietnamese food at home. I never seem to get the same balance of flavours and textures as when it's prepared by someone more familiar with cooking the cuisine. They are flavours I love though, and in summer I find myself craving them. 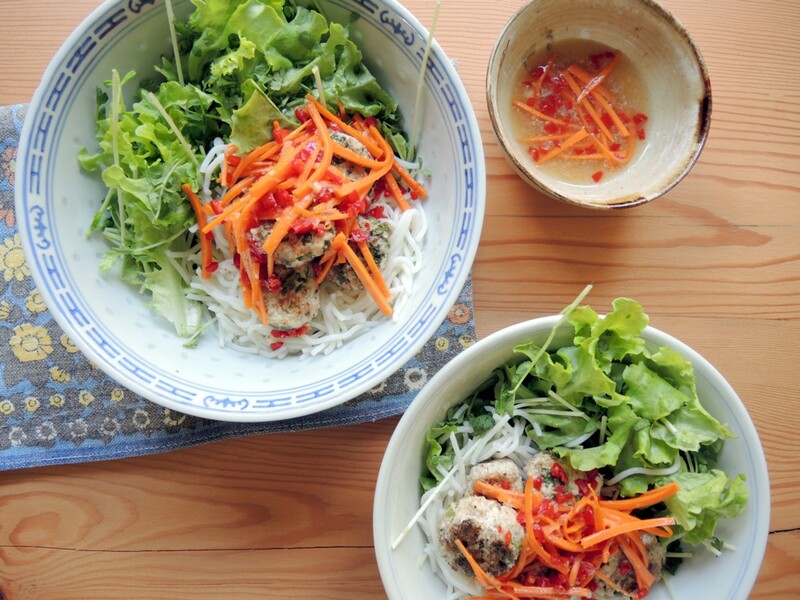 This noodle bowl was inspired by recipes in Poh's Same Same But Different cook book, namely the Vietnamese pork meatballs (reimagined with chicken or turkey) and her Vietnamese spring rolls with dipping sauce - or her own interpretation of nuoc cham. If using chicken or turkey, I first prepare the mince by putting it in a bowl, making a fist of my hand and pretty much 'whisking' the mince until it becomes sticky and holds together - almost like a dough. I don't cook with red meats, but I understand it's a tip for making burgers from any mince. Try it. It's revolutionised my burger and meatball making. Mix all the ingredients together and then chill in the fridge, covered with cling wrap, overnight. Before cooking, remove from the fridge, roll into small burgers, dip in vegetable oil and lay out on foil until all are prepared. For a really yummy, authentic flavour, skewer together and grill on a barbecue. You can do it under a grill too, but trust me, the barbecue is better. Mix all the ingredients, stirring until the sugar is dissolved. My tip is whack it all in a screw-top jar and shake until the ingredients are done. It's a nice job to hand a visiting guest who's asking how they can help prep dinner. This is the easy bit. Prepare your rice noodles as per the packet directions and drain. I drop onto a clean tea-towel just to get rid of the excess water and so they take up the sauce. Add your greens and vegies and top with the warm meatballs (you can add them cold too). Drizzle over the sauce and dig in. Eat with friends, and with an Asian beer to wash it down.